Why Choose JPS as Your Staffing Provider? JPS, Inc. has been providing employment staffing solutions to the San Francisco Bay Area for over 30 years and is capable of supporting your organization by conducting the recruitment and selection process to appoint the best candidate for your open position. Our approach in the management of our professional and client business relationships is multi-faceted and customized to satisfy your staffing needs. We will ensure that every assigned JPS staff member is fully aware of your services, processes and performance requirements. We vigorously work toward an effective and efficient business partnership utilizing a consistent, clear, concise, and timely communication process. JPS provides a guaranteed 100% satisfaction promise that in the unlikely event that the temporary staff does not meet the your expectations within the first 4 hours of his/her assignment, we will replace the staff at no cost to you. 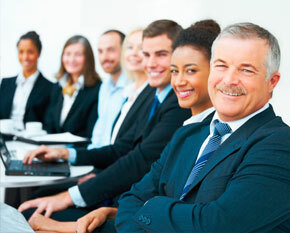 A professional Staffing Manager is assigned as an individual Project Manager for each individual task order. JPS, Inc. has an extensive state-of-the-art timekeeping and payroll system that allows weekly payments of W-2 wages in-house. The customer invoice system is tied to an in-house database staffing software system that matches payroll with customer invoices to ensure that an accurate invoice is generated to the client. The client will receive a weekly statement itemizing the contract labor usage. Customized invoicing and usage reports can be provided, upon request. All payroll deductions and payment of income taxes, FICA, unemployment insurance, and worker’s compensation insurance are automatically calculated and deducted through this system.